Avenue will seek to recreate the form shown at the Aggborough last season as they look to put additional distance between them and the chasing pack. It’s been almost a year since Bradford last visited the Aggborough Stadium for a standard league game on the last day of the 2017/18 season. For the Avenue faithful the day will go down as one of the most memorable in recent history. Having gone 1-0 down in the 1st quarter of an hour, it took until well into the second half for Frank Mulhern to find an equaliser. With the clock ticking down and news of Spennymoor’s victory over Southport filtering through to the away fans, any hopes of a playoff spot began to slip away until, in the final moments of the game, Adam Boyes arrived at the back post to slot the ball home and sent the travelling green army into a frenzy. Just four days later Bradford returned to the Aggborough, this time finding the Harriers much easier to handle with a 2 goals to nil sealing a 6th consecutive win and a pass through to the playoff semi-finals. This time round, Bradford go to Kidderminster 9 points ahead of the hosts, who sit just outside the playoffs, albeit 5 points adrift. Kidderminster have lost their last two games and now have a lot of ground to cover in order to catch up and secure a playoff spot. But with both Telford and Altrincham holding games in hand, the Harriers could potentially go 8 points adrift. Avenue will go into Saturday’s game looking for a repeat of last season’s form in order to put further distance between them and the chasing pack, as well as to climb the table and secure a lucrative home playoff fixture. The Horsfall College of Sport will be holding a trial/open day for their 2019/20 Scholarship Programme at the end of April. 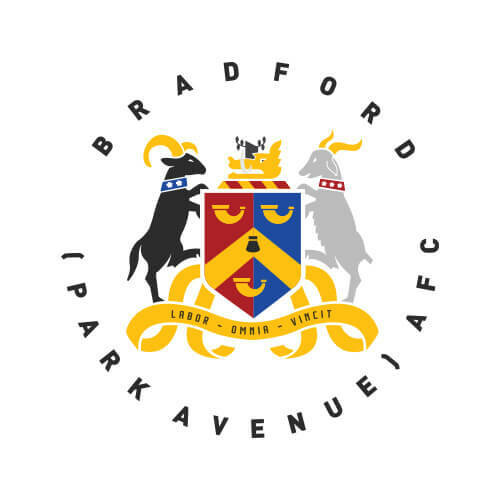 Students currently in years 11 and 12 who are interested in a career in football are invited to attend the trial/open day which will take place at the Horsfall Stadium between 6pm and 8pm on Friday the 26th of April. With only two home games left between now and the end of this season, the club shop is holding an end of season sale. With 50% off the 2018/19 home and away shirts, now is your final chance to sport the colours of Avenue’s most successful season since re-formation. At just £17.50 it’s recommended you order now before stock runs out. Alongside this there will be an extensive range of stock up for grabs for just £5 and up to 75% off other selected merchandise. The club shop will be open at our home games against Nuneaton Borough (13/04/19) and York City (22/04/19). A prolific goal scorer, Ironside moved to Aggborough from Nuneaton Borough in March 2017. Harriers paid an an undisclosed fee for the hot-shot who got off to life at Aggborough in fine style, netting six goals in eleven matches before the end of the season to help Harriers finish in second place. His second season for Harriers also returned goals, finding the net over 20 times in all competitions. Earlier in his career, Ironside has also played for the likes of Alfreton Town, Hartlepool United and Harrogate Town after beginning his career with Sheffield United. Pacy forward Chambers joined Harriers from Nuneaton Borough on a two year deal ahead of the 2018/19 season. The 28 year old can name Grimsby Town, York City, Dagenham & Redbridge and Leicester City amongst his former clubs, the latter of which he holds the record for the club’s youngest first team player aged 15 years and 203 days. 2017/18 was a fruitful campaign for the striker, netting 25 goals in all competitions for The Boro. From Birmingham, Wolverhampton and North (M5) – Exit M5 at junction (signposted A456) and follow towards Kidderminster (approximately 12 miles). At the roundabout on Kidderminster Ring Road, take the first exit (signposted A451 Stourport). At the next roundabout, take the first exit (signposted A448 Bromsgrove), then take the first turning on right (Hoo Road). Aggborough is approximately half a mile along on the left hand side. Kidderminster Station (0.5 miles from Aggborough Stadium). Walk down Comberton Hill towards the town centre and take the left turning just before Motorway Tyres near the bottom of the hill. Walk up Hoo Road for approximately half a mile to Aggborough Stadium. For the vast majority of matches at Aggborough, away fans will be seated in the East Stand, an all-seated stand that runs the length of the pitch, offering fantastic views of the pitch. £3- for anyone under the age of 16. FREE for youngsters aged five and under. In the event that away fans are given the choice of either seating or standing, the price for seating increases to £17 and £12 respectively with U16s at £5, those under 5 still being free. There are refreshment facilities within easy reach for away fans at Aggborough wherever they’re housed. Programmes at Aggborough are £3 and are packed with details covering both teams plus plenty of other great content. Car Parking is available at either end of the stadium, at the South Stand Car Park (£5.00 per car, £10.00 per mini bus and £15 per coach), and Stadium Close Car Park (£3 a match day). No other parking around the area of the stadium is permitted. In compliance with national law, Aggborough Stadium is a fully non-smoking venue within all enclosed and semi-enclosed areas. This includes the use of e-cigarettes.